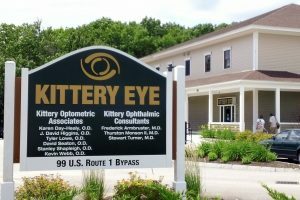 Welcome to Kittery Eye – a collaborative effort of Kittery Optometric Associates and Kittery Ophthalmic Consultants. 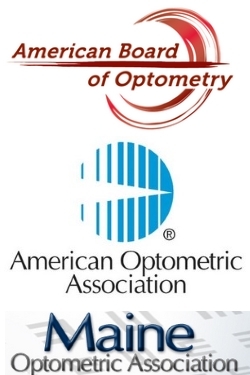 Together, “KOA” and “KOC” have provided comprehensive eye care to southern Maine and seacoast New Hampshire for over three decades. Our offices in Kittery are conveniently located along the Route 1 Bypass in close proximity to the Portsmouth traffic circle and the Kittery outlet malls. We have a large selection of glasses, frames, an in-house optical lab, and an experienced team of opticians ready to help you find the perfect pair of glasses. Our doctors and technicians are on hand to assist you with all your eye care needs. Our secondary location in Wells, Maine is a fully functioning eye care center at the York Hospital at Wells campus. Previous visitors to Kittery Eye will recognize many familiar faces at our new location. First time visitors and longstanding Kittery Eye patients are all welcome at our Wells office. Many of our friends to the north will be able to see their usual doctor, but with a shorter commute! Patients of all ages are welcome to schedule an appointment for a routine vision check, contact lens exam, or medical consultation. Our team of doctors and staff look forward to helping you. Please browse around our website and feel free to call us any time. We might even have an opening today!